We had so much fun shutting down the entire month of August for Black Resistance that we decided to do it again this year! Join us for 3 activities a week where we gather together for mental, spiritual and physical discipline. 1. Politically educating ourselves. Traditionally, Black August is a time to study history, particularly our history in the North American Empire. Check out some our recommendations for books and educational pieces here and here. 2. Fasting. The tradition of fasting during Black August teaches self-discipline. A conscious fast is in effect from 6:00 am to 8:00 pm. Some other personal sacrifice can be made as well. The sundown meal is traditionally shared whenever possible among comrades. BREAK-FAST, RBG-ATL's weekly shared meal, will be every Wednesday @ 8p.m. 3. Physical Training. this will happen for us via bike. 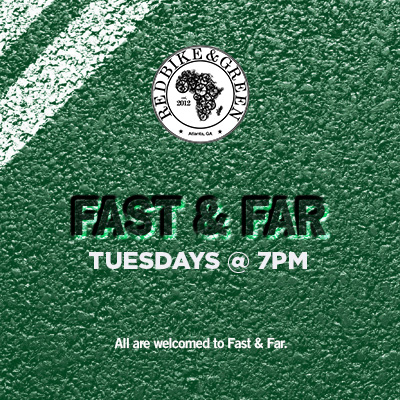 Pace: Fast---> YOUR own fast speed. Check points: so no one is dropped. Troy Davis Park @ 7p.m. Check points: No rider left behind. 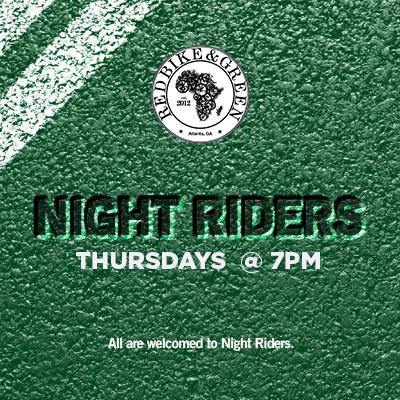 And as always, our monthly community ride will be lit. Stay tuned for more event info.